Berko created little in the first-half and were playing too many long balls in the rough direction of leading scorer Matt Bateman. Thame took the lead before the break from a free-kick. Thame full-back Matt Peake-Pijnen found Jamie Essex, whose flicked header went into the net in slow motion past the Berko keeper. Berko brought on Andrew Ofuso at half-time to give Bateman some support, but Thame went 2-0 ahead on 55 minutes with a well-taken goal from Duran Martin, who picked out the bottom corner after being found by Lynton Goss. The Comrades brought on young Cameron Brooks and he pulled a goal back in the 76th minute, just a few moments after his arrival. A straight pass from Max Farrelly and a one-two released Brooks, who ran into the box and confidently put Berko back into the match with a well-placed shot for his first goal at this level. It gave Berko heart but United clung on to secure the win. With just three league games to go, Berko are in ninth place and three points adrift of the fifth and final playoff spot. 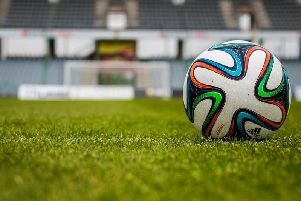 In midweek, Berko reached the St Mary’s Cup final after beating Herts County League side Chipperfield Corinthians 4-1. Jonathan Lacey hit a hat-trick and Ofuso added a solo strike. 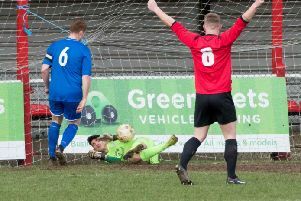 They were hoping to reach a second cup final last night (Tuesday) as the Gazette was going to press when hosting local rivals Tring Athletic in the semi-final of the Herts Charity Shield. Returning to league action, Berko host Kempston Rovers this Saturday, before visiting Barton Rovers on Easter Monday.